When you have a child, you make a commitment to being there for your son or daughter at all times. When you are facing a child custody battle that makes this impossible, you want to make sure that you are doing everything you can to maximize the amount of time you will be able to spend with them. 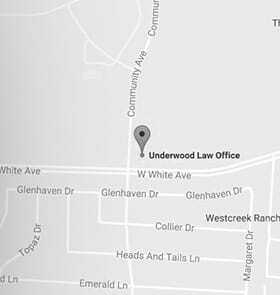 At Underwood Law Offices, with locations in McKinney, Texas, and Huntington, West Virginia, our lawyers are focused on helping you protect the time that you have with your kids. We have more than six decades of combined legal experience advocating for our clients, and we are dedicated to helping you remain a vital and integral part of your child’s life. Both Texas and West Virginia make custody decisions based upon what judges feel are in the best interests of the child. There are certain factors, such as the fitness of each parent, the environment that each parent provides to the child, the interaction that the child will have with the other parent, and even the child’s wishes, if old enough, that go into these decisions. In some cases, there may be changes that directly impact the custody order that is present in your case. One of the parents may get a new job, need to move out of state or start a new relationship. We will help you analyze the situation to determine if it is possible for you to obtain a modification of your existing custody agreement. We know how important it is for you to be involved in your child’s life. We take our obligations to you in custody cases seriously because we know how much you have to lose. To schedule a free consultation, please call our McKinney office at 469-573-4558, our Huntington office at 304-209-4387 or you may also send us an email. Se habla español. Can We Help With Your Case?